Advance tickets $60 – include a delicious three course dinner, door prizes, and dancing . 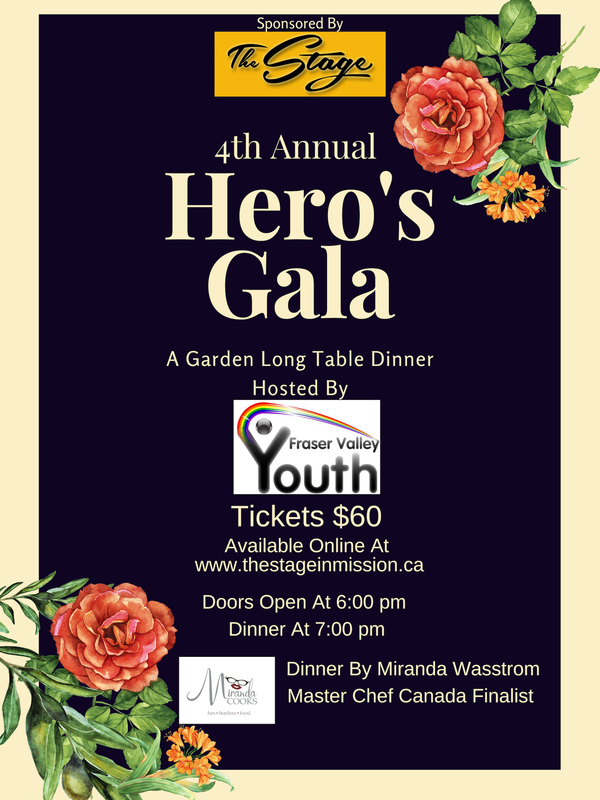 All proceeds from this gala event will go to fund programs and initiatives of the Fraser Valley Youth Society. Find out more about the FVYS at www.fraseryouth.com. The Stage is a 19+ venue. Please note that there are no menu substitutions. The Stage is an Inclusive 19+ Venue & a Safe Space for Everyone.